While many of us cover several different tasks, below is a general overview of each of our main responsibilities here at the Convention & Visitors Bureau. From sales and marketing to media relations and legislative concerns, we are here to serve you! Sherry Murphy joined the Bowling Green Area CVB in November 2018 after serving as executive director of the Elizabethtown (Ky.) Tourism and Convention Bureau for 18 years. She has always had a love for the Bowling Green area, since she is both a native of nearby Logan County and a graduate of Western Kentucky University’s hospitality program. During her tenure, the Elizabethtown Tourism and Convention Bureau won the Kentucky Travel Industry Association’s Traverse Award for Best of Show for tourism marketing, and Hardin County received KTIA’s Kentucky Economic Engine Award given for tourism's major impact on the local economy. 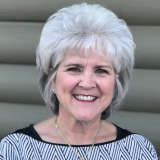 Sherry served as chairwoman for KTIA, president of the Kentucky Association of Convention and Visitors Bureaus, and currently serves as a regional representative on an advisory board to the Kentucky Department of Tourism. She is also a graduate of Leadership Kentucky. Contact Sherry for legislative issues (both local and statewide), attraction or lodging development, special tourism project funding, lodging statistics or other related information. From an amusement park attendant to restaurant management and hotel sales, Marissa Butler joined the CVB in June 2007 with extensive hospitality experience. The Nashville, Tenn., native made Bowling Green her home after graduating from WKU in 1998 with a Public Relations degree and a Folk Studies minor. Marissa began as Public Relations Coordinator, then became PR Director in 2008, and was promoted to Marketing Director in 2012, responsible for the CVB's partnership and marketing strategy, and all paid media. She received her Travel Marketing Professional certification in 2016. Contact Marissa to promote your business on this website and in the annual Bowling Green Visitors Guide, for promotional ideas, or if you would like to discuss advertising opportunities for the CVB. 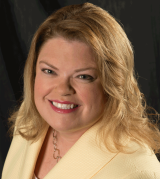 Amy joined the CVB in September of 2005 after serving as Director of Sales at the Hampton Inn in Bowling Green. Amy graduated from WKU with a Bachelors degree in psychology and minor in marketing, plus a Masters degree from WKU Recreation and Sports Administration with a concentration in Facility and Event Management. 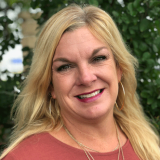 A certified Sports Marketing Professional and Sports Event Executive, Amy has served on the KY Sports Authority Board of Directors and is the KY Junior Olympic Commissioner for ASA. Under her direction, Bowling Green has won multiple ASA James Ferrell Awards of Excellence, negotiated multi-year contracts to host several KHSAA state tournaments, and created a local volunteer group called the Sports Masters. Contact Amy if you are interested in bringing a sports event to town or becoming involved with sporting events. Janet became part of the BG Area CVB team in the spring of 2014 as Group Sales/Services Manager. Small Businessperson of the Year in 2003 from the Bowling Green Area Chamber of Commerce and a Leadership Bowling Green Alumni, Janet is full of enthusiasm for locals and wants to bring in more business to generate an even higher economic impact. With a personal hobby of auto enthusiasm and restoring classic American muscle cars, Janet understands the importance of hot rod culture in the make up of Bowling Green as a destination and is expanding interest among more car groups. Contact Janet if you’re interested in bringing your auto or military group, meeting, conference, motor coach, or special event to Bowling Green. 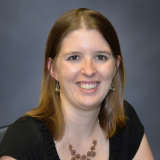 Beth joined the CVB after spending eight years in journalism at the Owensboro (Ky.) Messenger-Inquirer. She began her career as arts/entertainment reporter, then served as news editor, features editor and special publications editor. Those roles gave her numerous opportunities to cover tourism agencies, attractions and events. 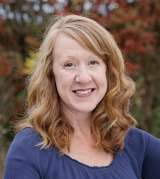 She then spent two years working in special projects for South Central Bank in Glasgow, Ky. A Louisville, Ky., native, Beth graduated from Western Kentucky University in 2006 with a degree in News/Editorial Journalism and a minor in History. 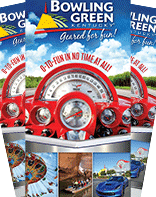 Contact Beth if you are interested in covering any facet of Bowling Green area tourism.